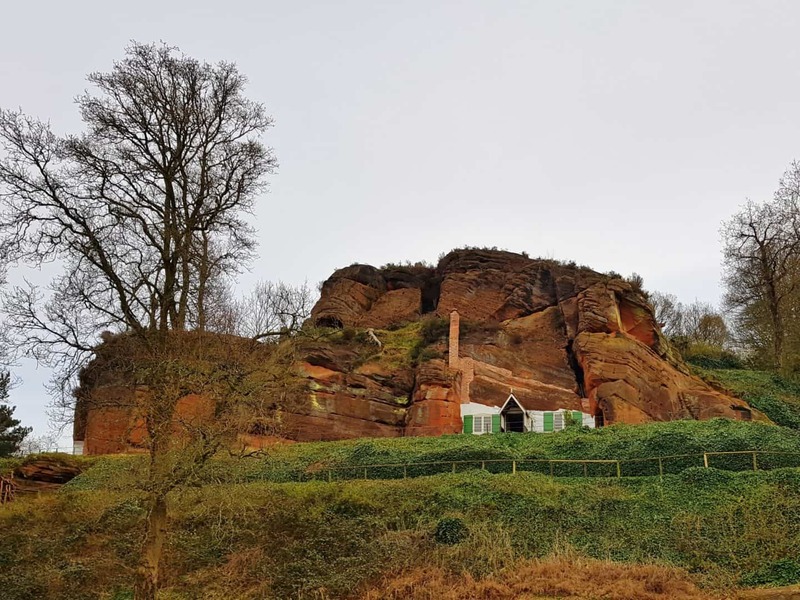 Kinver Edge and the Rock Houses is a National Trust property in South Staffordshire in the West Midlands. 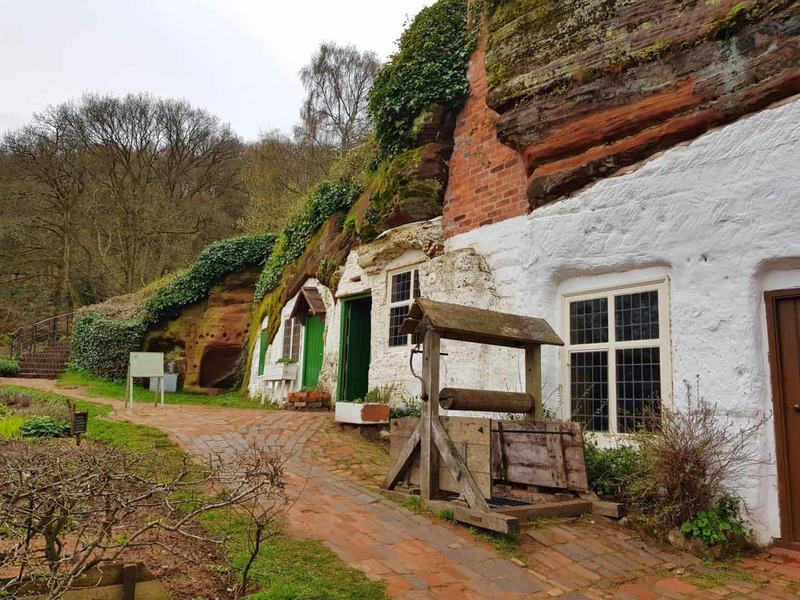 Woodland walks, stunning views and fascinating little homes carved into the rock make it an ideal day out. 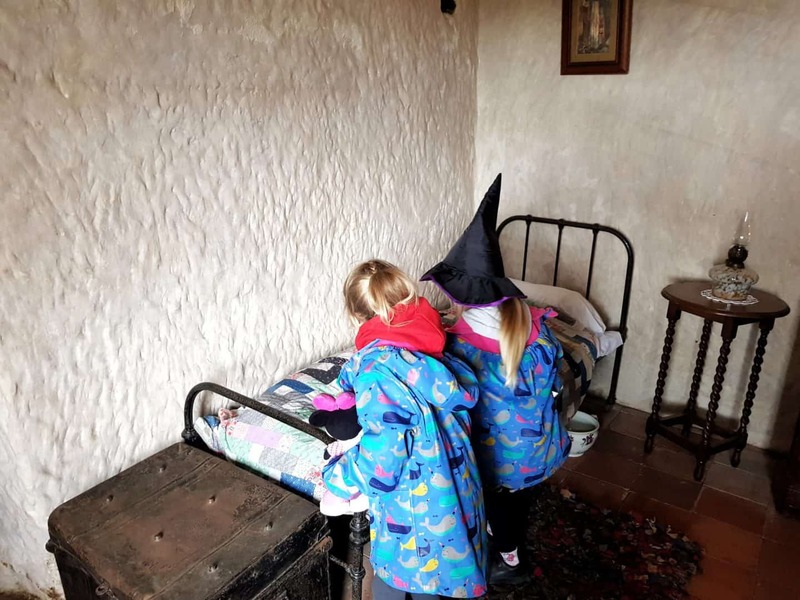 There’s plenty to keep children entertained. 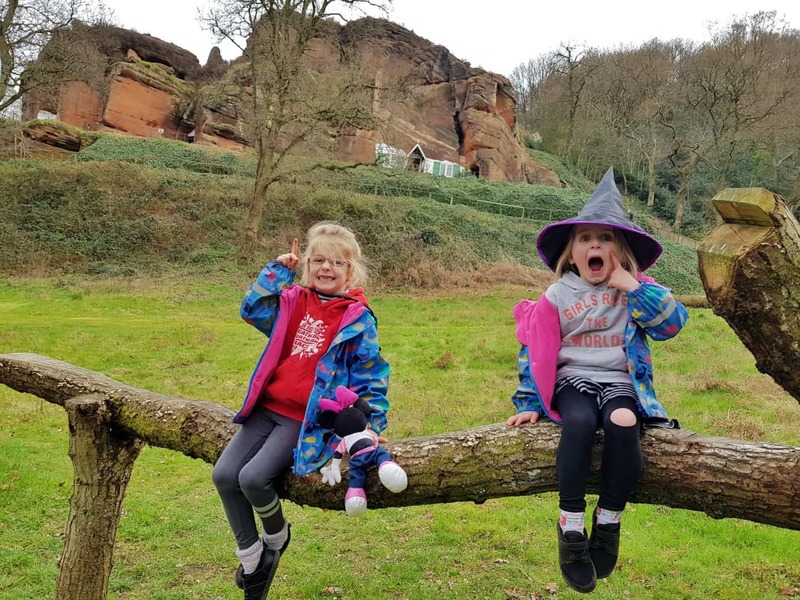 From discovering the houses themselves to walking, running, climbing trees and riding bikes around Kinver Edge. 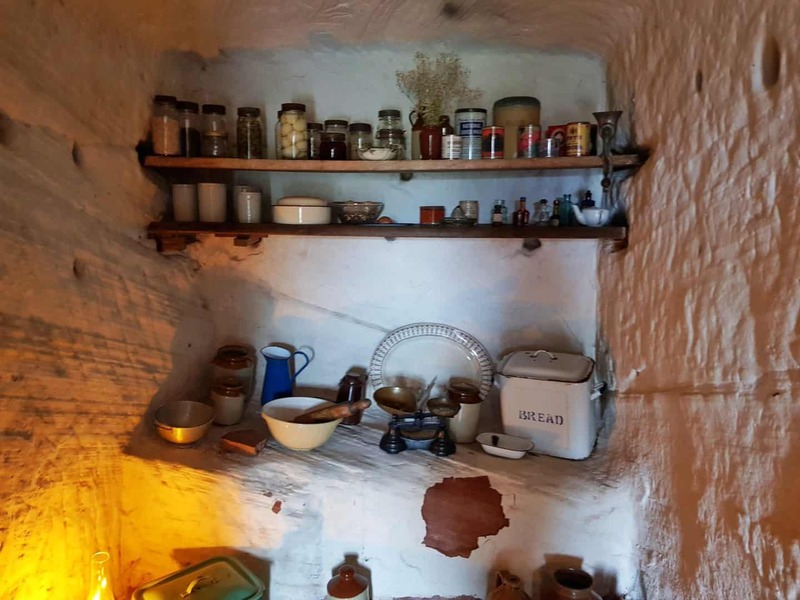 It is thought that the rock houses themselves were occupied from around 1770 until the late 1950s. The houses were on three levels. The National Trust bought the houses in the 1960s and have since restored some of them. 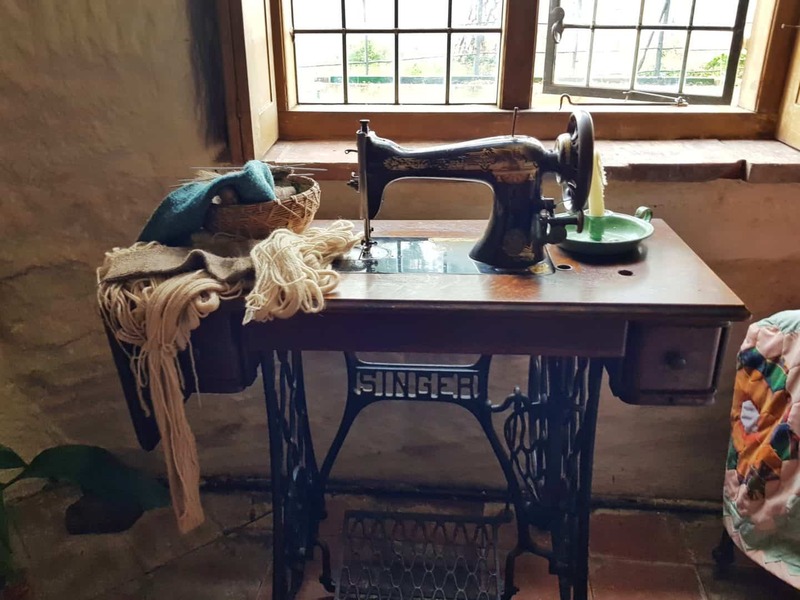 One of the top level houses has now been restored and turned into a tiny National Trust tearoom. 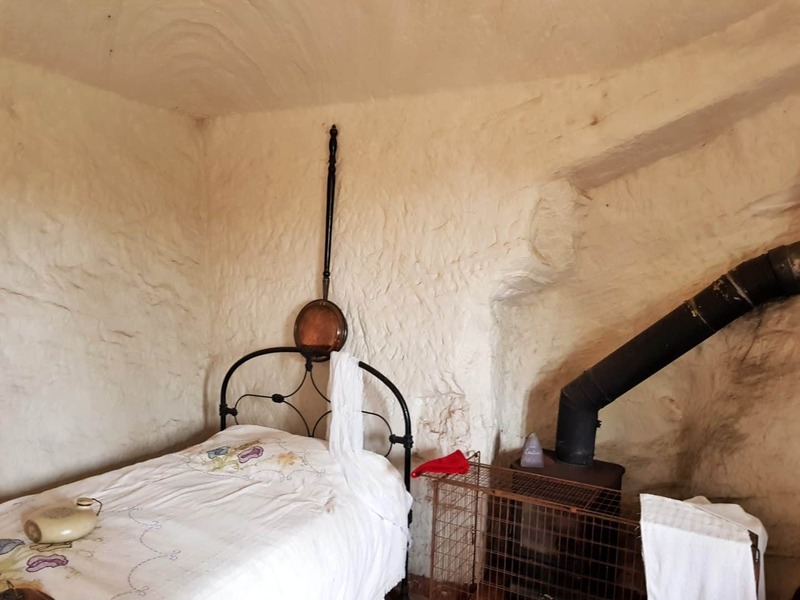 The middle level is inaccessible, and the lower level has been restored to show what life would have been like in the rock houses during different eras. At present, two of the cottages are open to visitors. 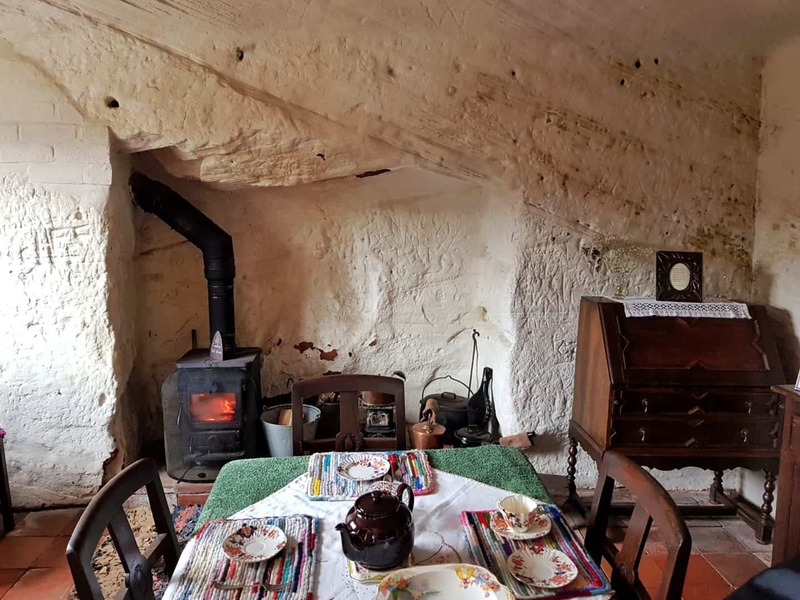 Furniture and photos give an insight into rock house life and National Trust volunteers are on hand with more information. 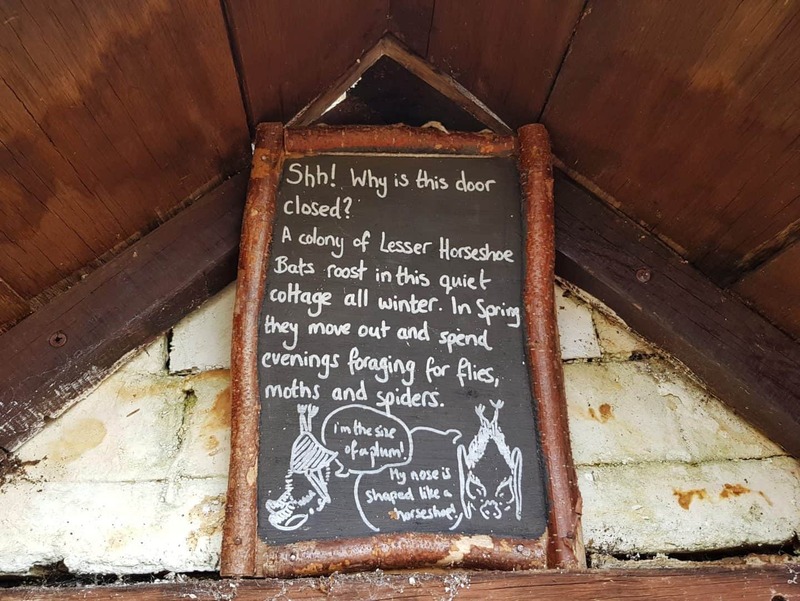 The third house on the lower level is currently inhabited; by a colony of lesser horseshoe bats. Gardens and allotments are also open for visitors to stroll around near to the rock houses. 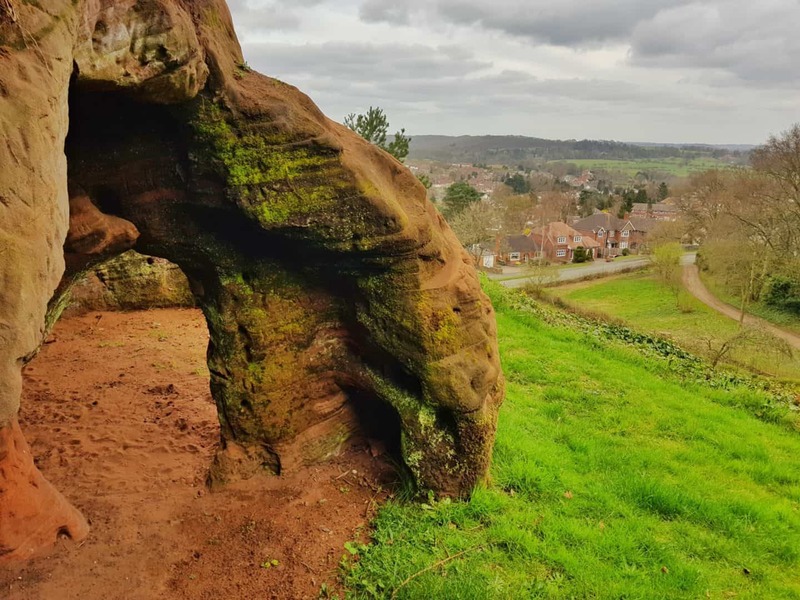 Kinver Edge has an Iron Age hill fort, much like that found on the British Camp on the Malvern Hills. These days, it is home to a plethora of wildlife including birds, bats, butterflies, moths, reptiles and insects. The National Trust are working to restore the heathland to attract even more diverse species. 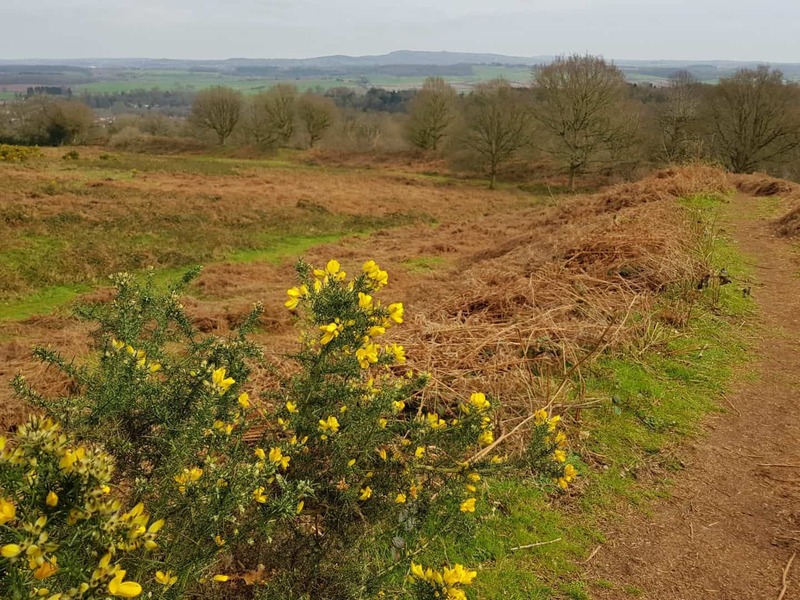 Miles of well-defined footpaths make Kinver Edge an ideal place for walking. Paths are marked with coloured arrows and walks vary in distance and terrain. 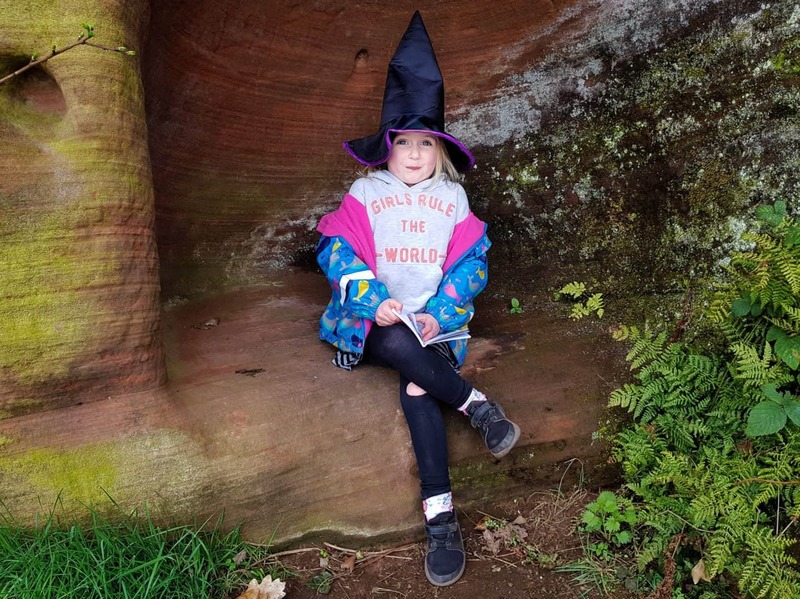 Take in the rock houses, heathland or woodland and find a natural play area in the woods. Certain paths are also suitable for cycling. 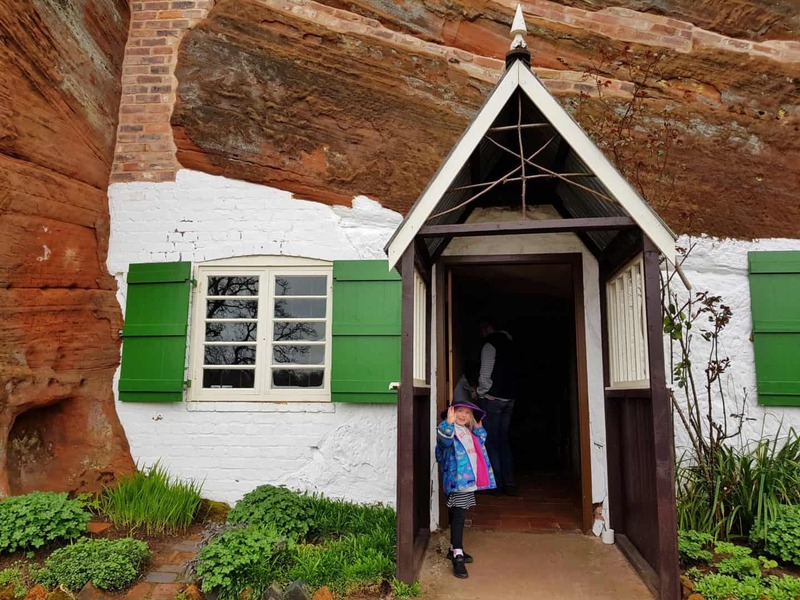 Our planning was a little poor when we visited Kinver Edge and the Rock Houses. We didn’t realise that there were paths suitable for cycling, so we didn’t bring the children’s bikes. Luckily though, there was plenty to do even without that. If we’d been organised, we would have taken a picnic as well. There are lots of ideal picnic spots around. Luckily, the small tearoom had something we were all happy to eat. The menu isn’t vast because it really is tiny. However, they had sandwiches, soups, cake, ice creams and snacks which were all very tasty. 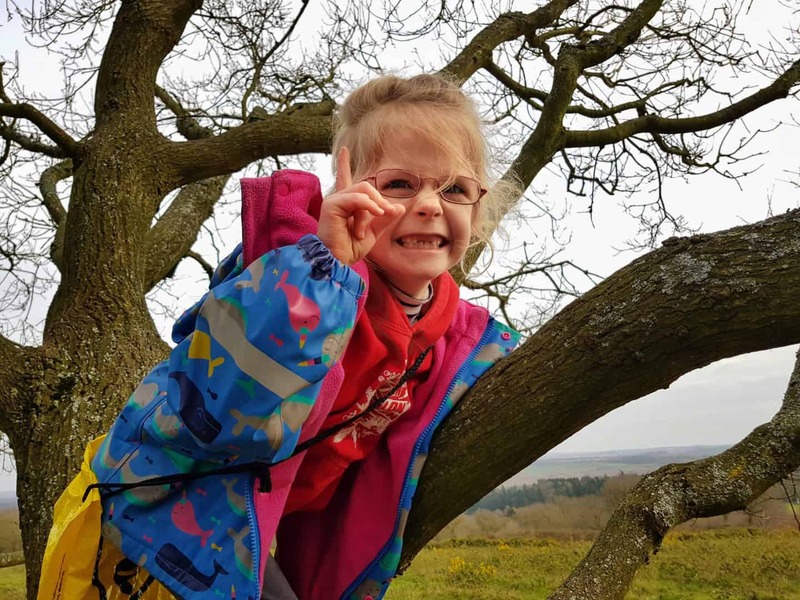 The woodland trail has natural play areas en route, so it’s ideal for little ones. My two always seem to walk further and with less complaining when there are distractions like places to play. That said, I hadn’t done my research and we missed the woodland play areas. Even so, they climbed trees, did handstands in the grass and generally entertained themselves as we had a walk around. With well marked paths and varied terrain, this is a great place for a dog walk. The only places dogs aren’t allowed are the tea rooms and the rock houses themselves. Looking around the rock houses only takes ten minutes, so we tied Bubbles up outside and left her with a friendly National Trust member of staff who agreed to look after her. Dogs are allowed in the gardens and the seating area outside the tearooms, where water bowls are available. 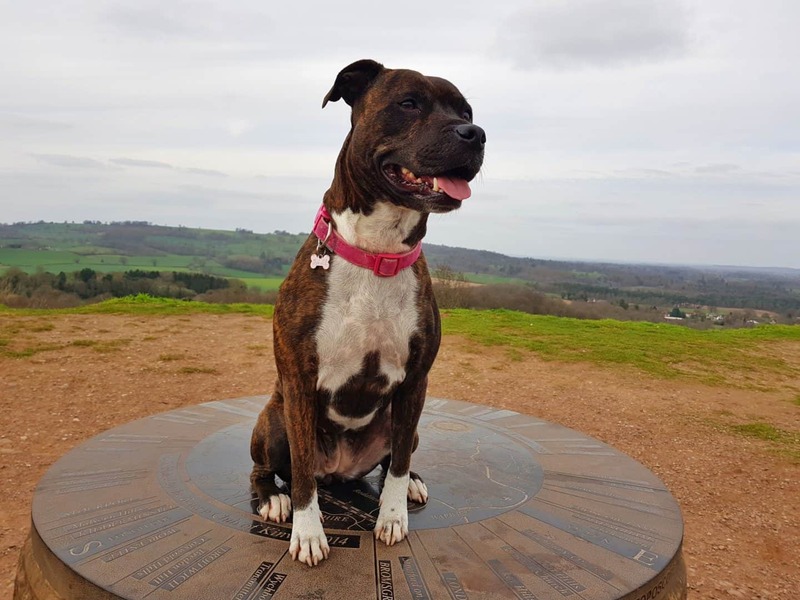 In much of Kinver Edge, dogs are allowed off the lead as long as they are under control. However in certain areas, they do ask that they are kept on a lead and on the path to protect ground-nesting birds such as skylarks. There is also other wildlife such as lizards and snakes in these areas, and longhorn cattle often graze there too. The areas where dogs need to be on leads and on the paths are clearly marked as such. 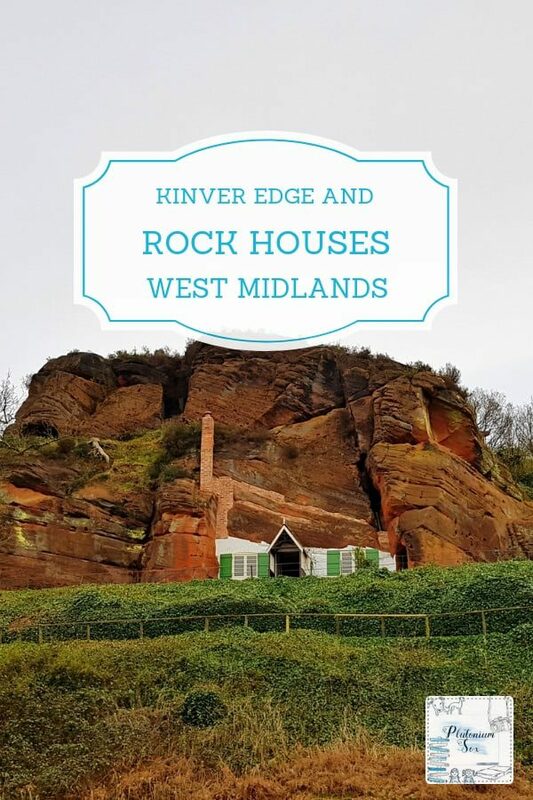 For more information about Kinver Edge and the Rock Houses including events and volunteering opportunities, head over to their website. 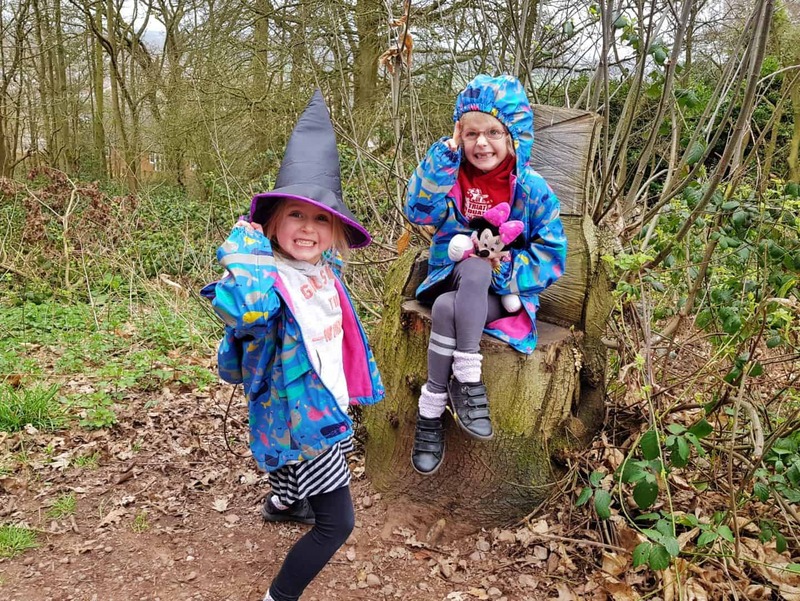 If you are looking for more places to visit in the West Midlands, please see my posts about family days out, dog friendly days out and rainy days out.